Welcome to Old Zion - Herzlich Willkommen! just six blocks north of City Hall, in downtown Philadelphia, Pennsylvania. about our Pastor, Services, and outreach projects. For information on our special services and programs for the season, please visit the Calendar page. or click the calendar link above to download our monthly calendar. 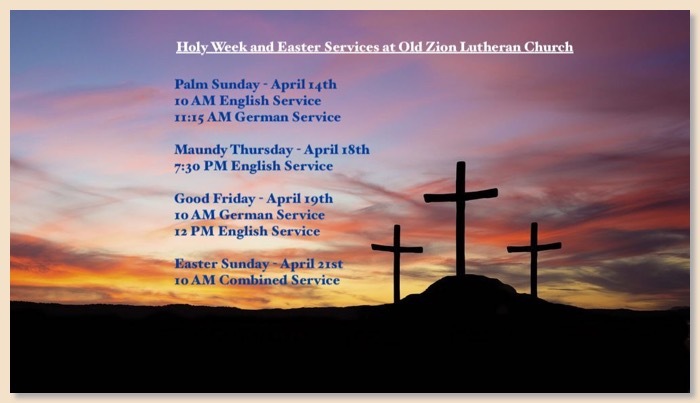 by visiting our Facebook page or following Old Zion on Twitter! of the Book of the Lutheran Confessions.